When even my 8 year old daughter asks during Maker Faire, "When are we getting a 3D Printer, Dad?" you know something's up. Museums and museum workers know this, too. 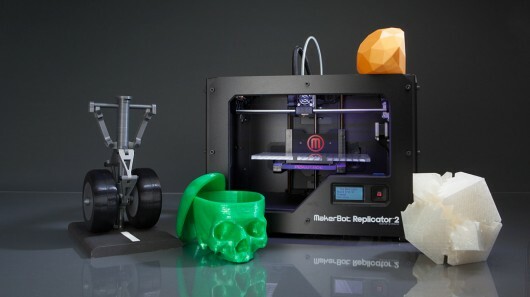 3D printers are cool, like "science fiction" cool, like "change the world" cool. So naturally, museum folks want to share this shiny new technology with our visitors. There is no denying that the end result of creating a digital file (either by laser scanning or through software programs) and producing an actual usable object with a 3D printer is super. But the actual process of waiting for a 3D printer to produce that object is like watching paint (or plastic filament) dry. Which is perhaps fine for a museum program, or a multi-session museum class, but are their ways to leverage the inherent "coolness" and flexibility of 3D printers in the rapid-response, "show me something now!" context of many interactive exhibition galleries? So in this edition of The Exhibit Doctor, I'm asking for examples of successful exhibit-centered ways of using 3D printers. Please share your successes, failures, and bright ideas in the "Comments" section below this post and I'll round them up to share in a follow-up posting.